The Hugli river, also known as the Bhagirathi-Hugli, is a distributary of the world-renowned Ganges in West Bengal. The river has an important place in the history of West Bengal. It is termed as Bhagirathi until it enters the district of Hooghly. According to Hindu traditions, a mythical Sagar dynasty prince, called Bhagiratha, brought the river Ganges from the heaven to earth. He did it in order to protect his grand uncles from the curse of saint Kapila. 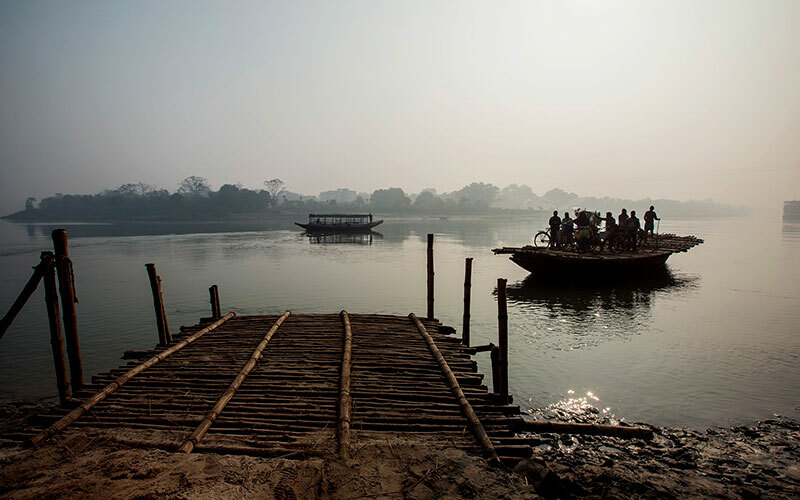 Long long back, the river Hugli was used as a major means of transportation of goods. 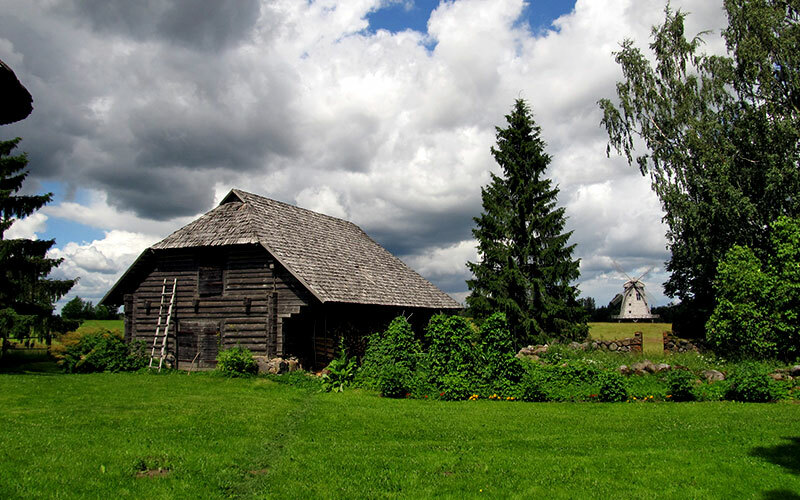 Later, it served as a trading port. It's due to this river that the British decided to establish themselves at Calcutta (now Kolkata) in the state of West Bengal. Being a distributary of the holy Ganges, the historic Hugli is also held in high regard by the Hindus. It stretches over a distance of 260 km. It separates from the Ganges in the district of Murshidabad at Farakka barrage. A town named Hooghly is situated on the banks of the Hugli river. A cruise along the historic Hugli upstream is filled with numerous interesting sights. There are expansive paddy fields along the banks of the river. Sights of tiny hamlets along its bank appear extremely pleasing to the eye. While cruising in a ship along river Hugli, you'll get an excellent opportunity to explore the art and architecture of the French, the British and the Danish culture. On the banks of the Hugli upstream, Hindus can be seen performing their daily rites and rituals. There are several popular Hindu pilgrimage centres and temples that are situated on the banks of the Hugli river, mostly in places like Matiari, Murshidabad and Farakka. Today, you will be picked up from your hotel and get assisted to your streamer. Embark on your ship and proceed to explore the old Danish colony of Serampore to Barrackpore guided walk through the monuments like Semaphore Tower, Government House, the Temple of Fame, and Flagstaff House and garden housing many british statues. Later get on to the ship for an overnight stay. Enjoy breakfast on board and cruise to Chandernagore, headquarters of Hooghly District, reflecting the French architecture, here visit the church and museum. Embark on the boat and sail to Chinsura possessed with rich history of Dutch, view the bungalow of the Commissioner of Burdwan. Sail to the Imambara to visit the famous mosque built by Shiah Astna-Ashari sect of Muslims. Board the ship and sail to mooring near Kalna. Overnight and dinner on board. Have breakfast onboard, and disembark at Kalna, where we will hop onto the cycle rickshaws, to explore some famous temples such as terracotta temples, Shiva temple, from here, sail to Mayapur, know for the famous ISKCON temples. Later board the ship and sail to Matiari for spending an overnight. Today visit the Matiari village, know for the brass work, you can explore the local life of people engaged in making the brass water pots and brass vessels, later cruise to the battlefield of Plassey where the Nawab of Bengal Siraj-ud-Daulah was defeated by British East India Company. 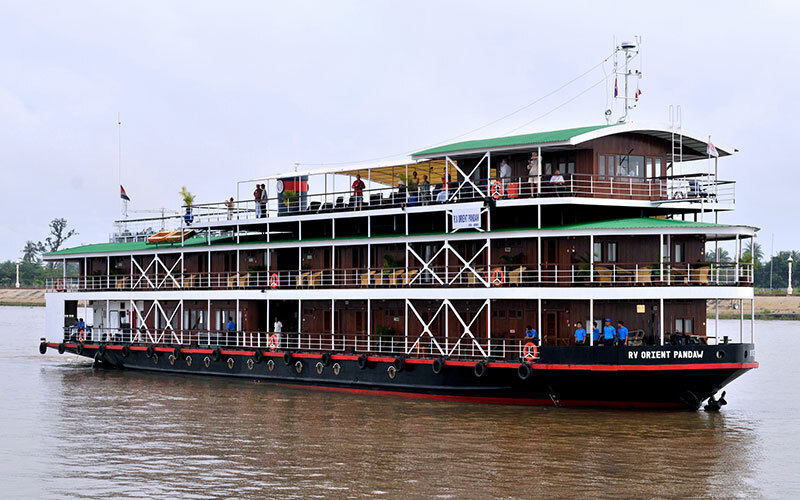 Later cruise through the river and reach Murshidabad for an overnight stay. Explore the rural India in the morning by visiting the village of Baranagar and terracotta temples. After this visit, continue streaming to Hooghly, exploring the mustard fields and mango orchards on the banks. 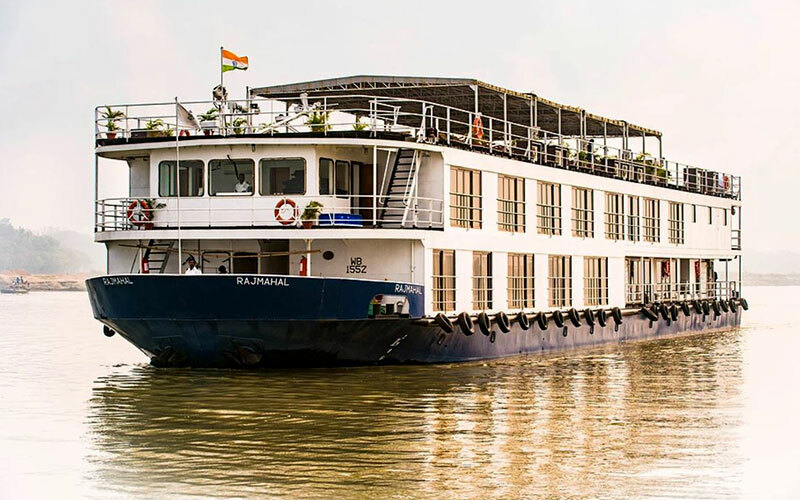 Cruise through the long canals and reach the Farakka Barrage for an overnight stay.